There are many meandering footpaths linking parks and green spaces through the Greenwood Community Forest. Take a peaceful stroll along dappled lanes and breathe in the countryside – there’s a footpath waiting for you. 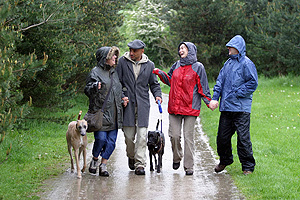 Find new walks near you or share your favourite walk with others. Visit Walk4life. And if you prefer to get around on two wheels or four hooves there's no need to feel left out - see our interactive map to identify walks, bridleways and cycleways near you. There are many footpaths and trails accessible to all. Break Free Greenwood Walks packs give you all the information you need to tell if a walk is suitable for you. For more information on the Break Free packs contact us. 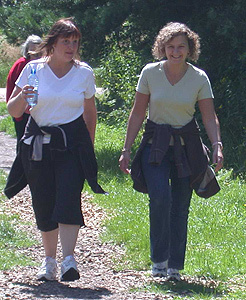 Walking the Way to Health helps people to get back into walking who may not have taken part in exercise for some time. There are several free walk schemes that are helping thousands of people do just that. Local schemes mean everyone can take regular walks with a trained walk leader in a safe environment around a nearby park or open space. Find a scheme near you.